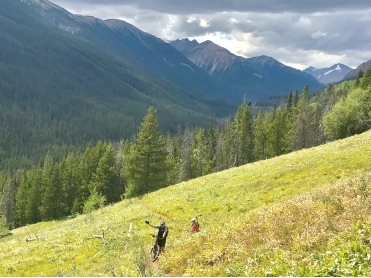 Endless singletrack, float plane access, backcountry lodges, spa & gourmet food await you in the Chilcotins! 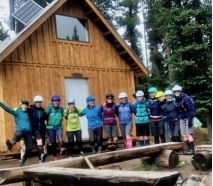 Join Sweet Skills coaches & Tyax Adventures for a trip of a lifetime in the stunning South Chilcotin Mountains! Explore the backcountry with experienced guides and coaches and be treated to amazing trails, breathtaking views, and an unforgettable experience. You’ll improve your skills, while learning to navigate the backcountry with a supportive group of ladies. Leave the boys behind, and do some bragging on your return! 2 different camps are available, so you can choose the perfect experience for your level! Don't wait too long to book, these camps sell out! Small group instruction with a maximum of 6 participants to 1 coach. 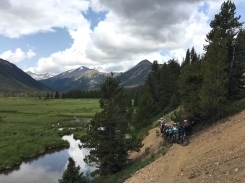 Have you always wanted to explore the backcountry and test yourself with some longer rides? Then this camp is for you! 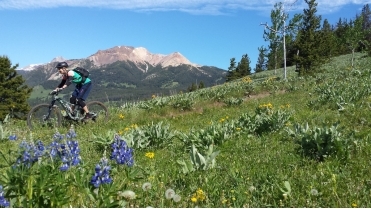 Intermediate riders will have the opportunity to experience riding and overnighting in the backcountry, while enjoying some of the best trails the Chilcotins has to offer. 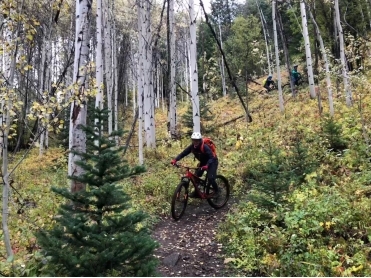 We’ll take a float plane drop to the beautiful Warner lake, ride amazing singletrack, and enjoy a fun night out in a backcountry cabin at Spruce Lake with gourmet meals provided. Also included is coached guiding throughout, plus 1 night at the Tyax Lodge with dinner and breakfast in their stunning dining room. This trip will be the highlight of your summer!! Suitable for all intermediate riders. 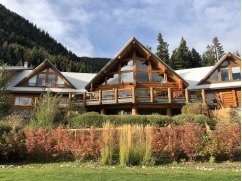 Enjoy tacky trail conditions and the beautiful fall colours of the South Chilcotin Mountains by bike while relaxing in style at the luxurious Tyax Wilderness Resort & Spa. 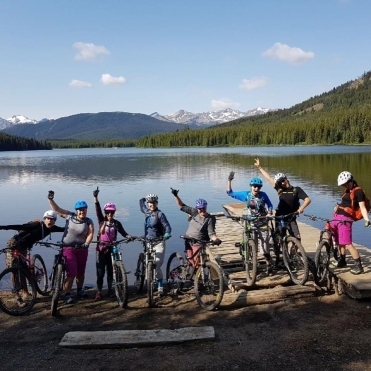 This 3 day camp showcases the best of the area and will feature a different riding adventure daily along with coaching and backcountry riding tips from Emily and Sylvie. We'll start our riding with a skills review on the fun and flowy trails surrounding Tyax Resort. 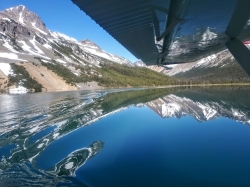 On day 2 we'll take a floatplane into the heart of the South Chilcotin Mountains, and on the final day we'll finish by pedaling ourselves up and over a stunning mountain pass. To compliment our riding adventures we'll make sure we're limber with daily yoga sessions and use of The Spa facilities. Yoga sessions lead by Corinne Von Dehn of Kula Wellness from Pemberton. Each night we'll come back to the comforts of Tyax Wilderness Resort & Spa, a warm and cozy spot to stay during the fall. When not on the trails we'll dine in the lakeside restaurant and savour gourmet meals from their chefs. You'll have plenty of time to enjoy all the comforts & peace during this weekend getaway. Treat yourself this fall and come for one last mountain adventure before the winter! Suitable for fit intermediate to advanced riders.